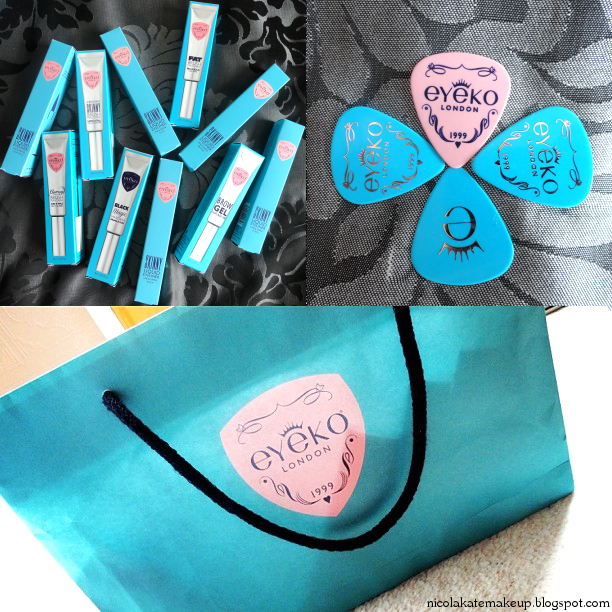 Eyeko's products come very well presented in gorgeous blue and baby pink boxes that feel and look very expensive and 'high end'. In the past, I have bought products that cost more than Eyeko's and have been ultimately let down with how cheap they looked and how flimsy they felt, but their iconic squeezy tubes that hold their mascaras and brow gel feel anything but. 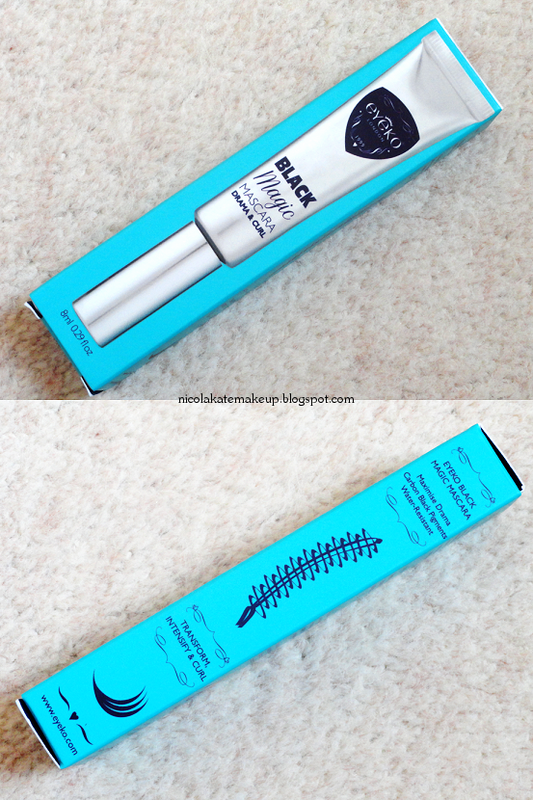 What Eyeko say about this product: "London's award winning mascara. The dispersed bristles and slim design of our Skinny Brush grab and capture even the shortest lashes to lengthen and extend like no other. Our botanical blend with Pro-vitamin B locks in water-resistant, jet-black colour for instantly longer lashes and superior staying-power that's easy to remove." What Eyeko say about this product: "Our super-sized Fat Brush coats lashes from root to tip builidng a volumised, full lash fringe. Our fibre-enriched Keratin formula locks in water-resistant, jet-black colour for instantly thicker lashes and superior staying-power that's easy to remove." I have gotten around to using the Fat Brush mascara and I wore it for around half of my day. I love how this mascara applied - it coated all of my lashes evenly and added the drama that it says it will without making my eyelashes clumpy. 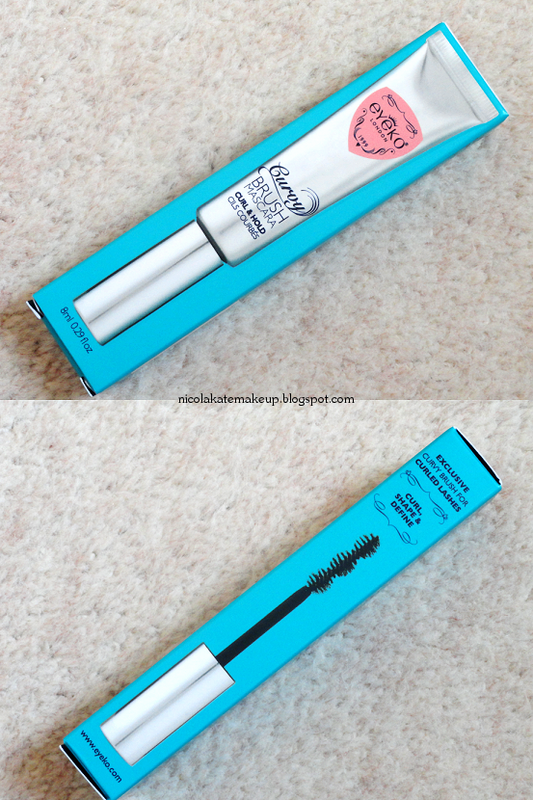 For a mascara wand that has huge, full bristles I really liked how easy it was to apply the product to my lower lashes without making any mess whatsoever. 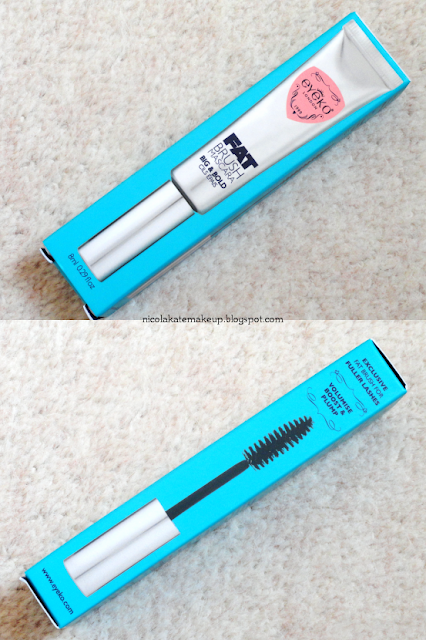 During the time I wore the Fat Brush mascara, I experienced no flaking, and I also noticed that this mascara did not transfer to my brow bone like most mascaras do due to my oily eye area. What Eyeko say about this product: "Designed for after-hours seduction, our ultimate mascara combines three key elements to create drama, volume and curl with a water-resistant, carbon black finish. The conditioning formula and our new curvaceous brush offer supreme lash perfection, packaged into our iconic, zero-waste squeezy tube. We use a unique paraben-free formula that blends Keratin and Shea Butter to visibly transform and intensify your lashes." 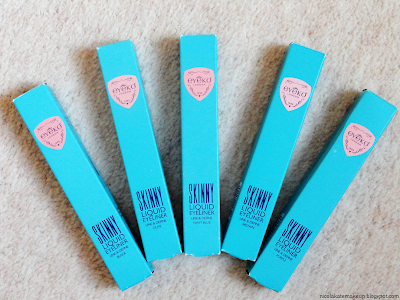 I wore this mascara for a whole day shopping in town in almost 30ºC heat, and when I got home I half expected my mascara to be all over my face which is a problem I usually have with most mascaras I've tried in the past due to a combination of having an oily eye area and humidity. When I arrived home and checked my makeup in the mirror, I was thrilled to see that my mascara had not budged AT ALL. No panda eyes, no horrible streaks left on my brow bone, and no flakey bits that had fallen down onto my face. I honestly believe that I will never even glance at another mascara again when it's very hot and humid. Not only did this mascara have great staying power, but the product applies beautifully. The curved wand helps create a natural curl to your lashes, and I noticed that it also 'fanned' out my outer lashes more, making them look a little fuller. What Eyeko say about this product: "Our multi-action Curvy Brush with tiered bristle clusters is designed to plump, define and curl lashes. Our conditioning Shea Butter and Keratin blend locks in water-resistant, jet-black colour for instant curl and superior staying-power that's easy to remove." 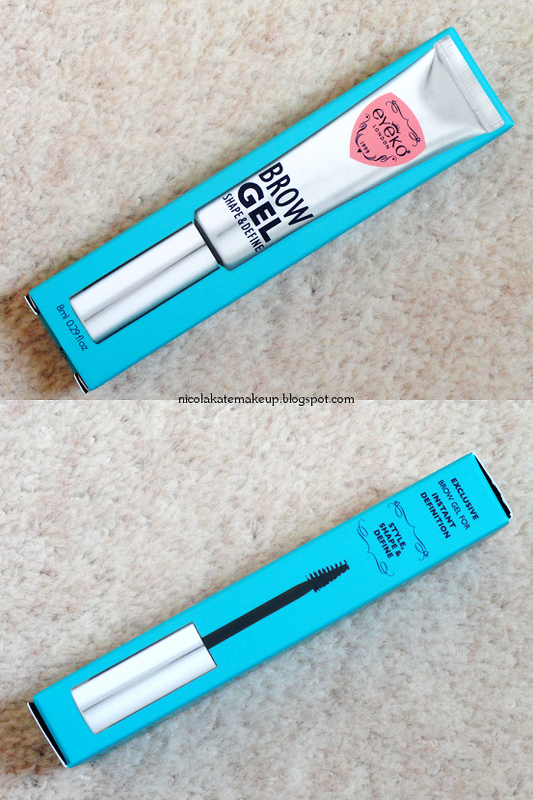 What Eyeko say about this product: "We've designed an easy-to-use tinted gel designed to style and care for your brows, packaged into our iconic squeezy tube. Our nano-brush and botanically-enriched formula effortlessly defines for a natural finish. Features Keratin and Gingko Bilabo to maintain a healthy brow look." 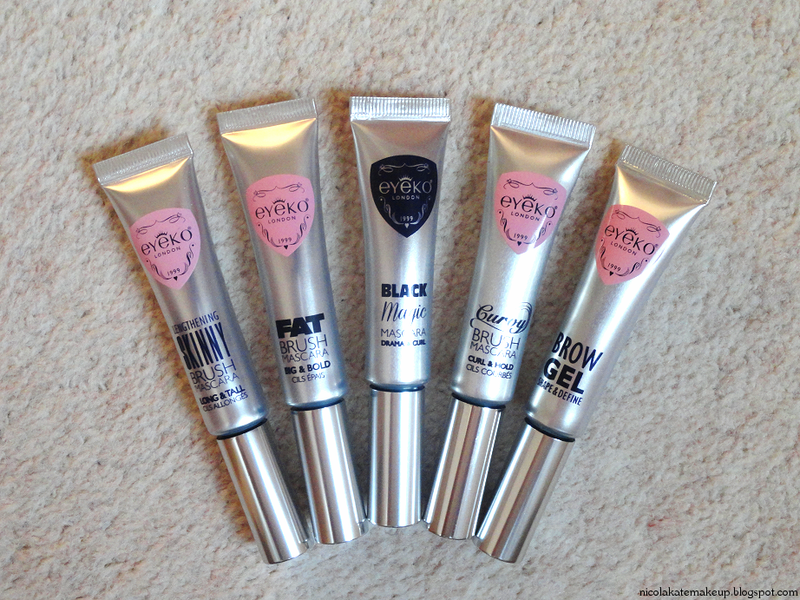 As you can see from the swatches above, Eyeko's tinted Brow Gel is designed to be a suit-all universal shade. It's quite ashy in natural lighting, making it suitable for lighter brunettes - but it's not TOO ashy or light that darker haired people wouldn't be able to wear it either. In the photograph taken using flash, you can visibly see gold speckles, which help make this brow gel also suitable for lighter haired people, much like myself. I would possibly say that it could be too dark for VERY light haired people, such as platinum blondes, depending on how natural and light you like your brows to look. As you can see in my Eyebrow Transformation post, I have naturally very fair eyebrows and fill them in with a colour that is darker than my own. I used this brow gel on my unfilled in eyebrows and it came off a tad too dark, but when I used it on my filled in brows it blended with the my usual brow colour perfectly. 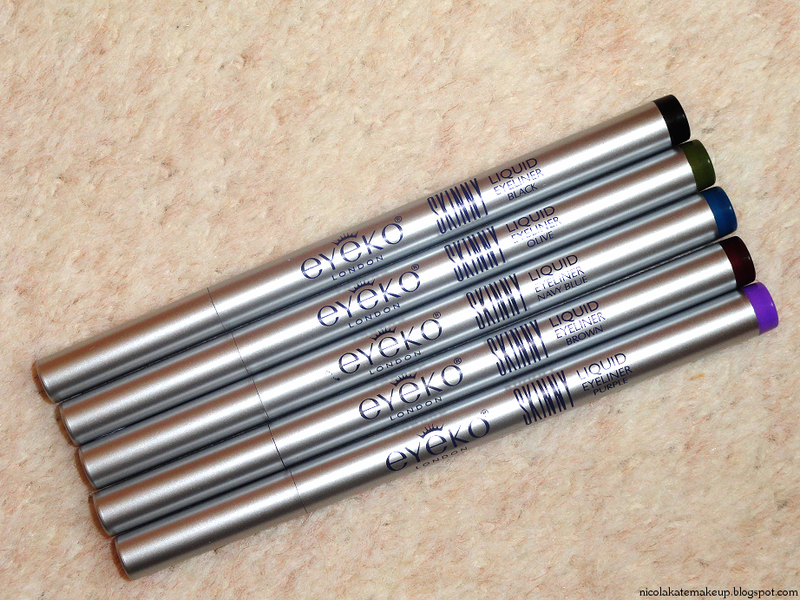 What Eyeko say about this product: "Our easy-to-control pen delivers smudge-proof colour in a single stroke. The preservative-free formula with key ingredient Sodium Hyaluronate ensures that colour glides on and stays on for a vivid, glossy finish." 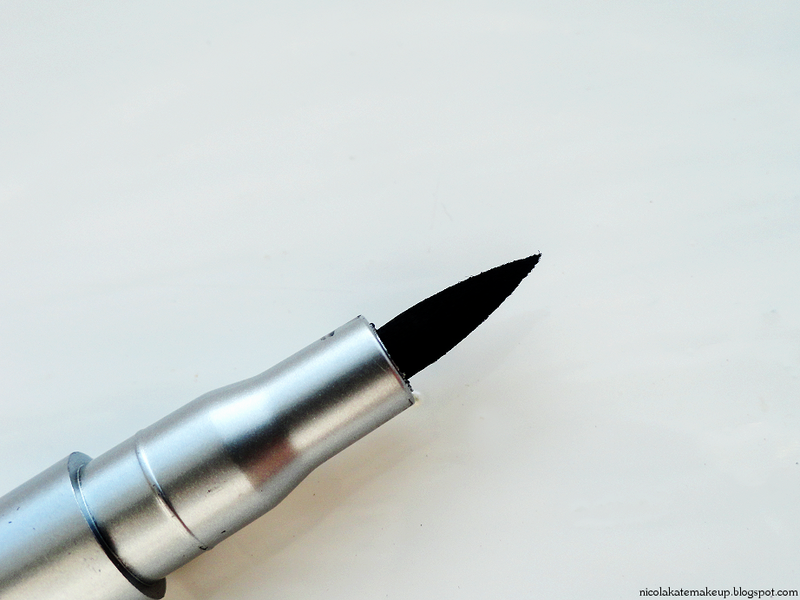 I was truly amazed at how easy I found this eyeliner to use. I usually stick to matte gel liners, as I have fine lines around the inner corners of my eyes that most liquid liners bleed into immediately after application. However, this liner did not and I can honestly say I produced one of the best winged lines I've ever created, all in about 20 seconds. (I usually spend a good 5 - 10 minutes perfecting my eyeliner, if not longer if I make a mistake somewhere along the line). I will be honest and say I was a little unsure about using a glossy liner at first, as I have always favoured matte ones, but I was actually very impressed with how pretty this liner looked. The only slight (and it's a very small slight!) quarm I could think of about this liner is that it appeared to be more of a very dark grey when worn on the eye, from what I'm presuming is down to this being a glossy eyeliner, rather than a matte one. But it is still VERY pretty nonetheless and I know I will get a LOT of use out of it. 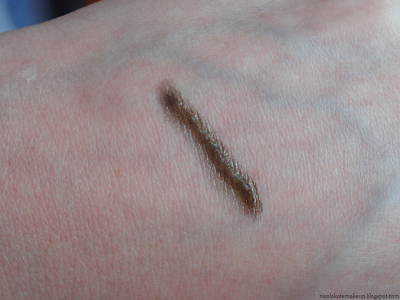 Also, when I swatched the brown liner on the back of my hand it dried with a greenish tint, which I was slightly puzzled about. 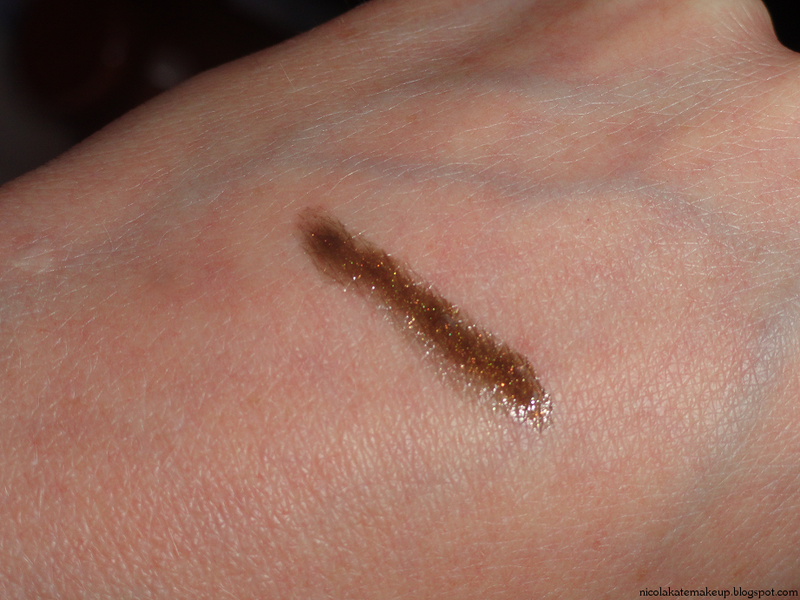 I have no idea if this still happens when it's used on the eye, and I will get back to this post to write an update about that once I've worn the eyeliner. 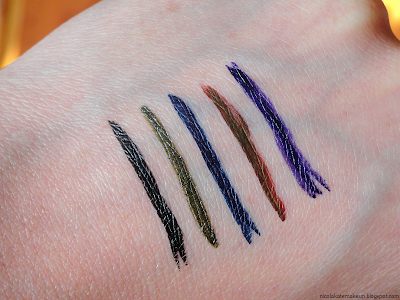 As for longevity, these eyeliners hold up pretty well. After a good 8 hours or so of wearing the black liner, I only experienced a slight smudging near the inner corners of my eyes - which in my case was expected as it's a common problem I experience with most eyeliners due to oiliness and the fine lines that I mentioned earlier. The rest of the eyeliner looked as fresh as it did when I first applied it that same morning. No fading, no smudging, no flaking. If you would like to see me putting these products to good use, please feel free to refer to my 'Eyeko' label and go and check out the Eyeko website in the meantime! 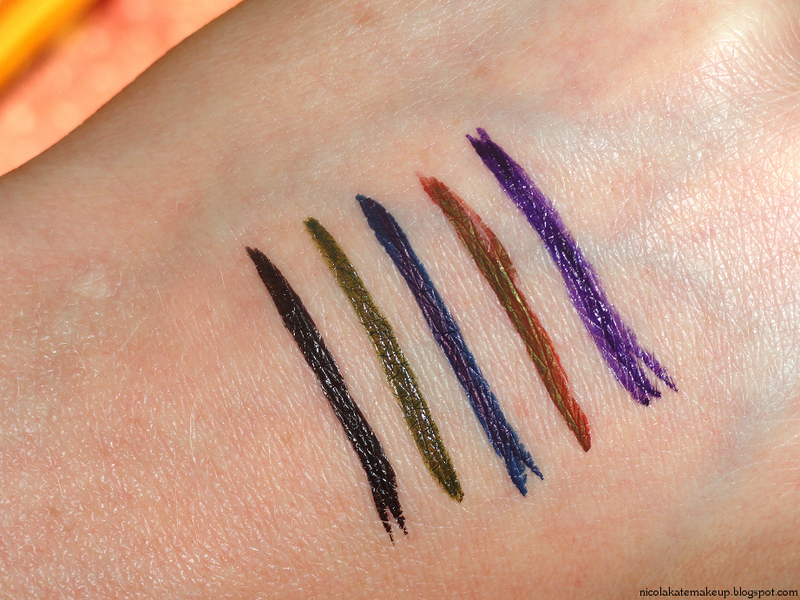 That purple liner looks so lush! It's so pretty, I can't wait to try it out!